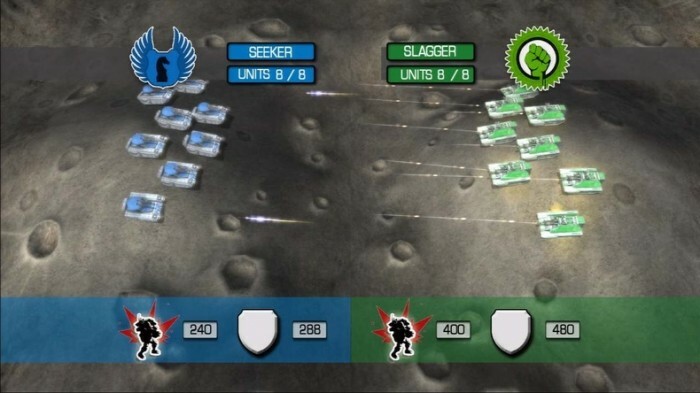 Military Madness: Nectaris is one of the older games out there for the PlayStation Network, and one of those I have had sitting on my hard drive for a very long time. The turn-based strategic combat of Military Madness years ago always appealed to me, so I was anxious to dive back into this game and give it a go. This title is old - it is a port of the TurboGrax-16 game by the same name more than twenty years ago. Still, I have played a lot of strategy titles from that time that still hold up today. I still enjoy Shining Force and Warsong for example. That being said, there are some serious problems with Military Madness that I may have overlooked years ago, but that I find too glaring today. Military Madness is quick and easy to get into, but that is largely because the strategy is actually quite shallow. There are not a lot of different vehicles and while they do serve different purposes and level up on the map, they really are not all that exciting when you break down their functions. Balance can also be an issue as some units just feel incredibly overpowered compared to the majority. The visuals are fine, and the music and audio are 'there' - not terribly good or bad, just taking up space basically. That is fine from my standpoint - a lot of older games like this had poor sound, and I quite often would listen to them for the first hour or two and then crank up my stereo and play music of my choosing while playing the game still. I think my biggest problem with this game however, is that it feels very linear. You are not selecting troops at the beginning of levels. There are no permanent stat gains that add a sense of progression from one map to another. Levels also feel very 'by-the-numbers'. I do not recall feeling quite that way about it in the past, but now things feel like they need to be done in a specific order. The enemy unit AI does not vary much in their approach. Of course one or two small mistakes near the end of a level, and you can find yourself doing it all over again. The multiplayer is a nice touch, and though I cannot find any real community behind this game anymore, my son and I played it a few times. That was actually quite a bit more fun, because he and I were much more free-thinking than the computer AI. Sometimes older games win us over with enduring mechanics or by tickling our nostalgia, but other times they show their age and unfortunately Military Madness is a 5 out of 10 for me, because it falls into this latter category. Man, sorry to hear that this port destroyed your nostalgia for the original. It must be difficult to be a developer tasked with porting an older game to a recent console, have to walk the fine line between sticking too close to the original game (and seeming simple, angering fans) and changing too much (also angering the fans). I might have to check out the original on a Turbografx emulator, because you said it was simple. Might be a good way for me to baby-step my way into strategy gaming, because more complicated strategy games make me a nervous wreck haha. Thanks for dropping by, Rob! It's definitely a lot more straightforward than a lot of the current tactics games out there. 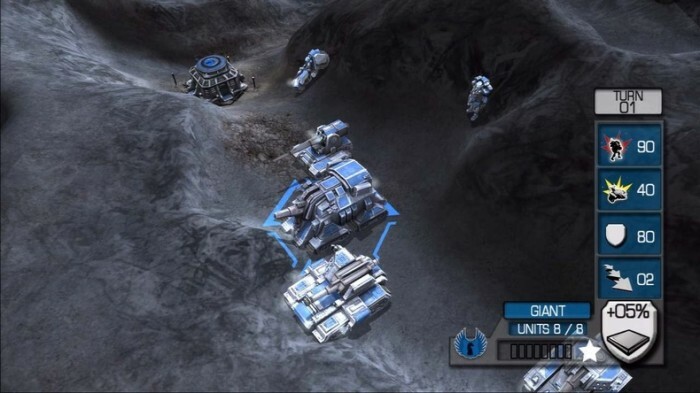 Specific units work really well against other ones, terrain is a factor but things like flanking and such doesn't factor in, which does simplify the formula compared to a lot of other tactics games out there. Not too long ago I was playing my copy of Shining Force on my Genesis (a very fun tactics game that isn't too complicated either if you're looking for one - and I liked it better). So, I've been working on game stuff some more. 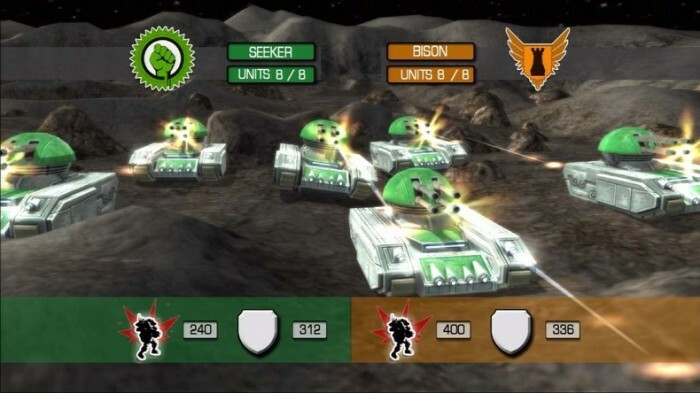 One of the games I have been looking at, is the old school Tanks game...like what was in Wii Play or Wii Party I think? Anyway, the last screen reminds me of what I've been working with in terms of gameplay, just trying out different ideas. Oh? That sounds promising. Yeah, that last screen is where you see most of the 'action' here. They'll start blasting at one another, units blow up and then that's the damage inflicted.